2 Fat Nerds - The Dreaded Chub Rub! Home/Health, Running/The Dreaded Chub Rub! 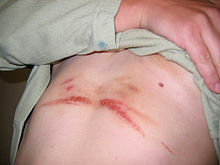 Chafing is caused by friction, or repetitive agitation resulting from skin rubbing against loose clothes or other skin. Exercise compounds this issue because friction on a wet or moist surface (sweat!) makes the issue worse. Think of sandpaper. As you rub sandpaper against wood, the surface is buffed down and sawdust appears. Your skin is effected the same way. 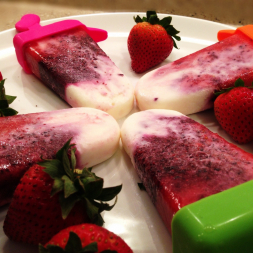 The outer layer is rubbed down, causing a rash. Simple steps can be taken to help combat Chub Rub. The first and foremost precaution is to ditch any cotton exercise clothes you use. Cotton doesn’t wick away moisture effectively and the clothes are often loose fitting. Generally they have decent-sized seams too, as they aren’t designed for athletes, and those can hurt if they rub you the wrong way. I’ve heard really good things about Underarmour undergarments that provide a tight fit that doesn’t allow the skin to rub against itself and become irritated. Alternatively, I personally use a product called BodyGlide. 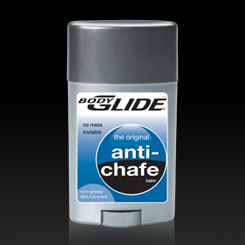 BodyGlide is a lubricant that helps prevent skin irritation. What I like about it is it’s a non-petroleum-based solution, so it doesn’t create quite the same mess as other products. Think of it like a fancy deodorant (which is exactly what it looks like). I would suggest going this route first, as it is a pretty cheap solution and is easy to apply. If it works, then you don’t have to spend much money at all. Chafing is actually pretty similar to blisters, and they are prevented in pretty similar ways: prevent friction. I want to stress the importance of treating these conditions seriously, because if you leave them to their own devices, you can escalate the problem into infection. Chub Rub . . . that is a pretty hilarious term and an excellent topic for discussion. Wrap both legs in duct tape, the tape will rub together and prevent the C-Rub. Works great for toe blisters too. Added bonus is no need to spend all that time at the waxing spa. I get redness (Chub Rub, if you will) just below my pinky toes on the side of my feet. I also get it right in the middle of my chest, where my sports bra sits. It hurts! I’ve been using BodyGlide on those hot spots and it makes such a huge difference. As far as the cotton clothes go, it’s funny because some people say cotton is better to wear for certain things and then it’s not good to wear for other activities. Some say you should wear it because it’s so breathable and not letting your skin breathe can cause acne because the sweat is just sitting there, not able to evaporate or be absorbed by the cotton. But then if you’re really working up a sweat, you don’t want to be soaking in it in your wet cotton shirt. And maybe I just don’t understand exactly what “moisture wicking” means, but I’ll still buy the shirt that does it.